After spending your 20s in Portugal drinking cheap beer and wine until the sun rises and eating breakfast before going to bed, it’s time to experience a more relaxed and sophisticated side of the country. Of course, there is still plenty of partying to enjoy, but with a slightly different touch. 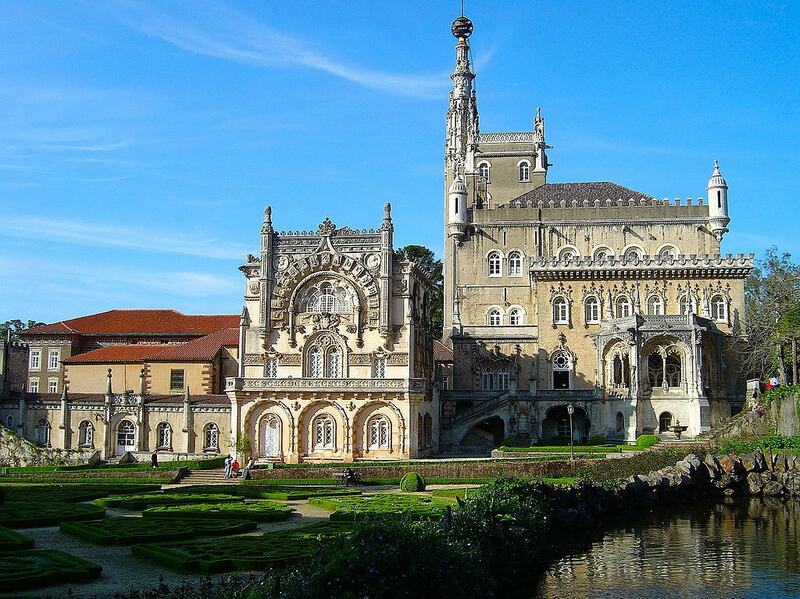 Here are Culture Trip’s suggestions for 20 things to do in Portugal during your 30s. For many people, the 20s are for living frugally while the 30s mean a little more financial freedom. While the hostels in Lisbon and Porto are still great spots for meeting other travellers, swap a night or two with a luxurious stay in a 5-star hotel. Many are built inside former palaces, like the Buçaco Palace near Coimbra, but the cost per night is still much less than 5-star hotels in many other countries. Portugal’s rooftops are where plenty of locals love enjoying drinks and snacks alongside the beautiful weather, so join in and snag your own spot under the setting sun. Do you have a favourite Portuguese wine region? Plan a day at a wine cellar or a weekend at a vineyard and indulge. If you don’t know which region you prefer, plan a few weekends and let the local experts help you decide. Perhaps you visited the same hotspots that everyone sees, but there are plenty of places in between that have yet to be discovered. Take a little time to dig a bit deeper. While on the road trip to see the places you missed in your 20s, include stops in some rural villages and oft-overlooked districts like Tras-os-Montes in the northeastern corner of the country. These are perhaps the best parts of Portugal for serious rest and relaxation too. Even if you don’t care for gambling, head approximately 20km north along the coast from Lisbon and visit one of the largest casinos in Europe. The Casino Estoril is worth seeing for its modern architecture and claim as a potential meeting point for spies during WWII, as well as an inspiration for the James Bond ‘Casino Royale’ story. Just because you’re now 30-something, doesn’t mean you lost your groove for all-night parties and Portugal’s main cities are filled with clubs and bars usually overlooked by 20-somethings. Even if you don’t know how to cook Portuguese food, it could be fun to try a few recipes at home with a few friends. Plus, saving money by cooking at home means more to enjoy later. Of course, there are always cooking classes that will help foodies learn how to recreate the staples, like bacalhau. Plus major cities, such as Lisbon, may have classes offered in English. Instead of buying a magnet or shot glass with ‘I love Portugal’ on it, perhaps buy something with cultural significance like a cataplana pot (for making delicious seafood at home) or a beautiful ceramic. Fado is always a good idea when planning a night out in Portugal. Make a reservation at a fado restaurant or try to get a ticket for a concert and hear one of the current greats in the industry. Why head to the islands just to see one spot? Once you’re in one of the two archipelagos, hopping from one island to another isn’t so hard. Head to Madeira’s mainland and then visit Porto Santo (where one of the country’s most beautiful beaches can be found) or fly to the Azores for even more to see (including the highest peak in all of Portugal). The Alentejo’s beaches can give those on the Algarve a run for their money and more people are discovering this hidden gem. Plus, it’s one of the best places to try some local wine. From the Age of Discoveries to the many battles and invasions and even to its wine history, Portugal is a country with many stories to tell if you’re willing to listen. Because, why not? Called ‘Carros de Cesto’ in Portuguese, the basket carts are made of wicker and pushed by two men dressed in white. This is a popular activity in Funchal and a great treat for tourists, but it was once the primary way of travelling downhill in the region. By the time we hit our 30s, plenty of us are more open-minded towards trying new food. Sample the many types of seafood that you may have never tasted before (like barnacles), one of the hundreds of traditional cod recipes, or a unique sausage (plus, much more). This isn’t an experience for everyone but it is a traditional part of the culture. It may help to know that the bullfights in Portugal don’t end with the bull being killed. Portugal is one of the top surfing destinations in the world and a great place to learn the sport. Instead of sleeping the day away after a long night out, head to bed a little earlier and rise in the morning ready for brunch. Lisbon and Porto are filled with restaurants with special brunch menus and the capital is also home of Brunch Electronik, where good food and electronic music combine and guests can eat between dancing. This country is, without a doubt, one of the best destinations for book-lovers. While Livraria Lello & Irmão is a definite must-visit, don’t miss the library at the University of Coimbra, the Literary Man Hotel in Obidos, Bertrand bookshop in Lisbon, and many other spots perfect for bookworms.